Though the LGBTQ community is gaining more and more acceptance around the world each year, some countries are much slower to adapt and welcome change than others. In these countries, art combating the status quo proliferates and lends a creative, emotional face to the change people want to see. 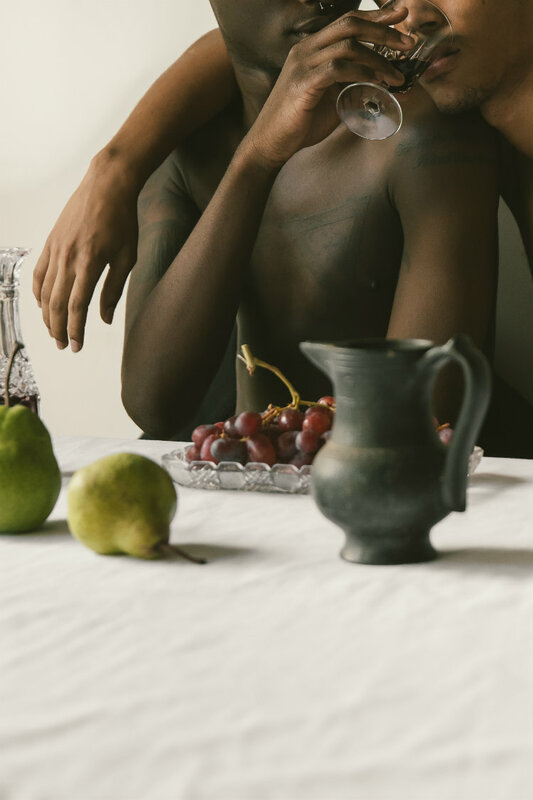 Last year, just in time for Kenyan Pride, 25-year-old photographer and filmmaker Maganga Mwagogo shot a photo series emphasizing that, whether queer or straight, the love we feel is universal. OUT: What is the story and message behind this series? Maganga Mwagogo: I set out to create a body of work that would remind my society queer people experience love and share tender moments the same way people in heterosexual relationships do. That’s all there is to it. Two people finding love. Being queer is still needlessly faced with cruelty and animosity in many parts of the world. This series of images would hopefully feel like a friendly hand on the shoulders of those who still have to whisper words of endearment to their lovers behind closed doors, as the rest of the world gets to shout at the top of their lungs. Tell us more about the exhibition this series was a part of. My good friend, artist Kawira Mwirichia, approached me to take part in TRTL (To Revolutionary Type Love), an event/exhibition celebrating queer love, alongside some of my most talented peers. It was held at the Goethe-Institut Nairobi in cooperation with AFRA-Kenya, the Astraea Lesbian Foundation for Justice, and the Heinrich Boll Stiftung East & Horn of East Africa. When did you start working with photography? I got into photography as a child taking pictures of my family mostly. There’s something special about seeing the world in a photograph that’s so different from real life, everything’s so fleeting. I love that I can visit the living room of my childhood home whenever I please, that’s still a mainstay for me and the work I do. What do you hope people see and feel when they experience your work? I would just like for people to reflect on this series of images in acknowledgment of those who are still persecuted for being different.